Bulgaria and Romania will establish a joint information center to promote their joint tourist products. This became apparent after the meetings held today in Bucharest between the Minister of Tourism Nikolina Angelkova and the Romanian Deputy Prime Minister Liviu Dragnea and the Minister for European Funds in Romania Eugen Teodorovich. Romania is a key Bulgarian tourism market and a partner with strong traditions in the industry resulting from our bilateral relations, said Minister Angelkova. Both parties have agreed on a joint working meeting to be held in Rousse in the second half of December, at which the industry should be also invited to discuss the specific details concerning the establishment of the information center as well as and the opportunities for promoting the joint tourist products, including those under the projects for the EU's Danube Strategy. Thus, visitors from distant markets, for example from China, Japan, India and etc., would be attracted to the Balkans, stressed Angelkova. Prior to the meeting in Rousse, the representatives of Bulgarian tourism industry will be informed about the idea by the expert team of Minister Angelkova and will present their proposals for joint products. Minister Angelkova opened a Business Forum "Food and drinks from sunny Bulgaria" in Bucharest, which was attended by over 25 Bulgarian companies - producers and distributors of food industry. Angelkova pointed out that the promotion of bilateral business relations in this area are directly related to the tourism. The promotion of the food industry will give more Romanians the possibility of gaining an idea of the wonderful Bulgarian cuisine and our exceptional wines, said Minister Angelkova. Together with Minister Angelkova the business forum was attended by Alexander Filipov, Bulgarian Ambassador to Romania, Dr. Sorin Oprescu, the Mayor of Bucharest and Yordanka Fandakova the Mayor of Sofia. 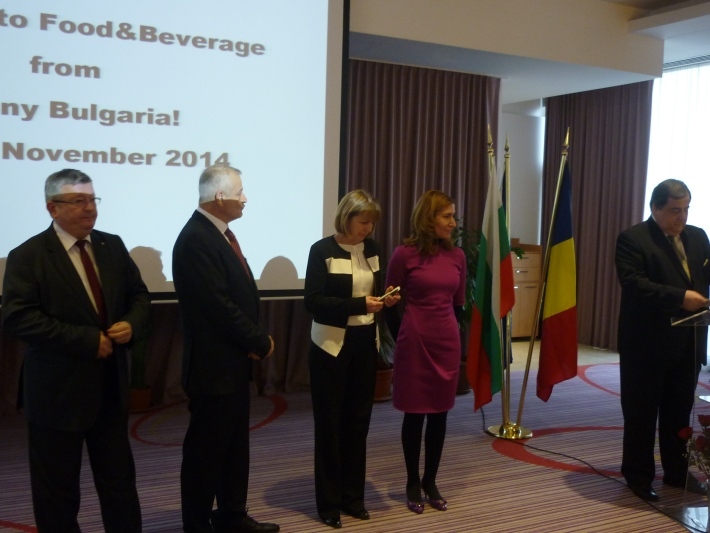 Bulgaria possesses enormous potential to develop a gourmet and wine tourism, said the Bulgarian Minister. She thanked the Romanian tourists for visiting Bulgaria and invited them to come again during the winter season. The forum was attended by 200 guests - ambassadors, representatives of ministries, mayors, the Romanian tourism industry, manufacturing companies, food chains, chambers and etc.